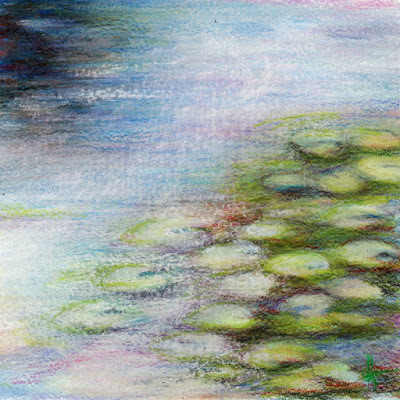 diana lynn's painting a day: Waterlilies. This was a painting challenge on the dailypaintworks.com website. I started it in oils, then moved to pastels and finished with colored pencils. Sometimes it's hard to stick to a decision once you make it.